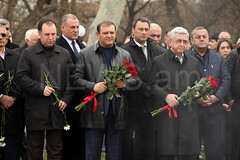 YEREVAN.- Public statements, made by the Prime Minister after Judge Azaryan’s decision to release former President Kocharian were addressed not only personally to Judge Azaryan, but to all judges of the Court of Cassation, who were to examine the complaint against Judge Azaryan’s decision, the member of Armenian Second President Robert Kocharyan’s defense team Hayk Alumyan told reporters on Saturday. According to the lawyer, all this could not but influence Judge Azaryan: “Imagine, people are told that this man is an enemy because he released Mr. 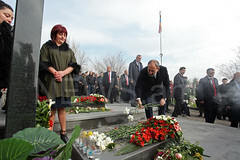 Kocharyan." Commenting on the remark that the courts are dependent on the previous authorities, Alumyan noted that, firstly, not all judges are in a position of subordination. There are judges who are ready to be prosecuted, but not to do anything against their professional duties. Unfortunately, they are few. And flexible judges, who ready to adapt and execute orders, depend not on the authorities that appointed them, but on the authorities which are at the helm at the moment, the lawyer reminded. 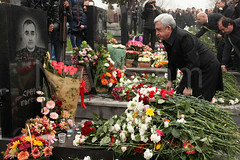 Robert Kocharyan, who is a defendant in the criminal case into the tragic events that occurred in downtown capital city Yerevan in March 2008, is remanded in custody since December 7, 2018.